Charlie Winton plans to step down as publisher of Counterpoint Press, while retaining his position as chairman and CEO. He will also continue to acquire books as an executive editor-at-large. 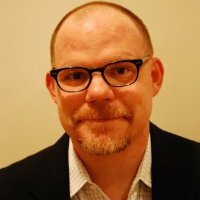 Rolph Blythe will become publisher of Counterpoint/Soft Skull beginning May 1. Blythe, v-p and editorial director Jack Shoemaker and business manager Kelli Adams will report to Winton. "Counterpoint/Soft Skull is coming off our best year ever in 2012 with net revenues increasing over 30%," said Winton. "The company is well positioned for me to make this transition away from day to day operations. My continuing roles will allow me to remain actively engaged and at the same time provide the company with an energetic new player. 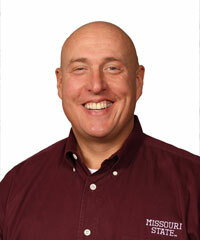 Rolph brings a robust blend of experience to the company." Blythe began his career in the industry as a bookseller at the Hungry Mind Bookstore, St. Paul, Minn., and book review editor for the Hungry Mind Review. He was subsequently a marketing manager for Counterpoint Press and Basic Books before working for several years as a literary agent and then as a marketing manager at Graywolf Press. He said that his new position with Counterpoint "represents an opportunity to work with some of the best minds in publishing and grow a list of titles I have admired since my independent bookselling days." The embezzlement committed over nine years by former Missouri State University Bookstore director Mark Brixey amounted to $1.16 million, nearly three times original estimates when the crimes were discovered last summer, the News-Leader reported. Brixey pleaded guilty yesterday to federal charges of wire fraud, money laundering and filing a false income tax return. He faces a maximum sentence of 43 years. At a press conference, university president Clift Smart said that MSU should recover the money, through a $1 million employee theft insurance policy, $144,000 found at the time Brixey was arrested and restitution he is required to pay as part of his plea deal. Brixey embezzled most of the money through the textbook buy-back program, cashing checks or pocketing cash representing commission on the purchases from Follett, which bought the used textbooks. He also made some money from selling discontinued books to bulk book buyers. The Other Change of Hobbit science fiction and fantasy bookstore is moving to El Cerrito, Calif., after 36 years in Berkeley. The shop relocated from its original site just three years ago, and owner Dave Nee "always thought he would move back downtown, but the owner remodeled the building for the restaurant Comal," Berkeleyside reported, adding that the bookshop never flourished in South Berkeley's Lorin District, where the "space was too big and too expensive and city policies--like putting in parking meters for a while--meant the store wasn't earning enough." "I regret having left Berkeley," Nee said. "It's my hometown but I don't feel the climate there is right anymore for a bookstore, I'm sad to say." "We couldn't understand why they couldn't award a winner," said Katharine Walton of the Pulitzer Board's decision to not award the Pulitzer Prize for Fiction in 2012. "The thing about the prize is that it really helps promote books, helps promote reading." Spurred in part by the Pulitzer snub, a group of publishing veterans, authors and booklovers teamed up with Crook's Corner, a famous eatery in Chapel Hill, N.C., to create a new literary award: the Crook's Corner Book Prize. Debut novels set in the American South and published within the last two years are eligible. The winner will receive a $1,000 prize and be Crook's Corner's writer-in-residence--and receive a free glass of wine any time he or she visits the restaurant. The organizers decided to model the prize after literary awards given out by a number of Parisian cafes, including Deux Magots, Café de Flore and Brasserie Lipp, and it was not long before Crook's Corner became the sponsor. Walton, head of promotion, publicity and editorial services agency Katharine Walton Represents, is helping to promote the prize. The restaurant has served Chapel Hill for 31 years, and was named an "American Classic" by the James Beard Foundation. Crook's Corner was founded by the late Bill Neal, who wrote a series of cookbooks, including Good Old Grits Cookbook, Bill Neal's Southern Cooking and Biscuits, Spoonbread and Sweet Potato Pie. The current chef, Bill Smith, is also a cookbook author. Said Smith: "It seems a natural evolution for Crook's, which is so interwoven with the arts and the literary community, to honor emerging writers." So far there have been 24 submissions for the Crook's Corner prize, and roughly half have been sent by small publishers or self-published authors. Submissions are open until June 1, and every submission will have at least two readers. A list of finalists will be announced in July, and from there, author and North Carolina resident Jill McCorkle will pick a winner. Words Without Borders has founded the James H. Ottaway, Jr. Award for the Promotion of International Literature, named in honor of the organization's first chair and current chair emeritus. The Ottaway will honor individuals who have succeeded in furthering literature in translation in the U.S. The first award will be presented at Words Without Borders' 10th anniversary dinner in October. Nominees may include translators, authors, publishers, agents, editors and activists and will be solicited by Words Without Borders. The winner will be chosen by a jury. Frank Moster, who held several positions in the publishing industry before co-founding the commission sales rep company Melman-Moster Associates 30 years ago, died last Sunday. He was 69. "We had each been sales managers of Little, Brown in different eras," recalled Chris Kerr of Parson Weems in a Facebook post. "He was a generous, genial person with almost a half century publishing experience and smarts. He was universally well-regarded. Many of us counted the fund-raiser golf tournament for his son Dennis as the highlight of our summer. All thoughts and prayers offered for his family and the community of which he was so essential a leader." At Left Coast Crime on Saturday in Colorado Springs, Colo., Brad Parks won the best humorous mystery novel for The Girl Next Door (Minotaur/St. Martin's), his third Carter Ross book, making him the first writer to win a Lefty, a Shamus and the Nero Award. Here he celebrates with author Laura Lippman, who was a guest of honor at the event and held his Lefty. Incidentally, this great picture was taken by Shelf Awareness's own Jen Forbus. 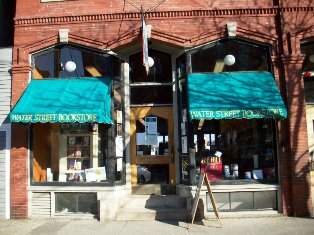 Congratulations to Water Street Bookstore, Exeter, N.H., which won this year's Exeter Area Chamber of Commerce Business of the Year award in the retail/wholesale (under 25 employees) category. "Twenty-two years, a lot of wonderful booksellers, a lot of wonderful patrons," said owner Dan Chartrand. "We're imbedded in an incredible community, I can't imagine doing this bookstore that I've dreamed about doing my entire professional life anywhere but Exeter; it's truly the best town in New Hampshire and it's my hometown, not by birth but it's my hometown." The week-long workshop "Owning a Bookstore: Best Practices for Success," co-sponsored by the American Booksellers Association and facilitated by Donna Paz Kaufman and Mark Kaufman of the Bookstore Training Group of Paz & Associates, will take place May 6-10 on Amelia Island, Fla., near Jacksonville. This workshop is both for prospective and established booksellers. As the organizers noted, "Retail bookselling, a low-margin business compared to other forms of retail, demands attention to many different aspects of the start-up process and ongoing operations to achieve financial sustainability. With increased pressure from online outlets and e-books, it's more critical than ever to understand and focus on the most critical aspects of the business and to establish a tangible competitive advantage." Subjects include learning financial dynamics to measure profitability and productivity, creating a special sense of place, marketing for customer loyalty, using a computerized management system to effectively buy merchandise and manage your inventory, staffing for exceptional customer service and more. Guest booksellers and trainers will share frontline expertise. ABA members are eligible for a discount. For details, visit PazBookBiz.com or call 800-260-8605. 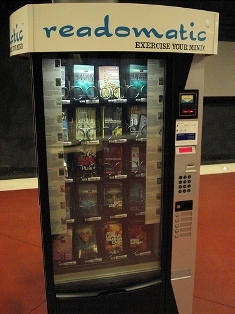 Noting that there are "lots of reasons why a white elephant technology doesn't catch on," author John Geoghegan explored the dubious history of tome-vending machines in the Huffington Post before concluding that books "aren't disposable items like cigarettes or candy. As a result, there's something counter-intuitive about buying a book from a device that dispenses soda pop. Bestselling titles may help to diminish this disconnect, but do little to improve reading's perceived intellectual value." The Wild Medicine Solution: Healing with Aromatic, Bitter, and Tonic Plants by Guido Masé (Healing Arts Press). Tomorrow on KCRW's Bookworm: Michael Ondaatje, author of The Cat's Table (Vintage International, $15, 9780307744418). As the show put it: "Master of concealment Michael Ondaatje departs from form in The Cat's Table, a novel of constant discovery that follows the journey of an 11-year-old boy aboard a ship bound from Sri Lanka to England. As the story is recalled from the vantage of adulthood, the narrator's 21-day trip reveals itself as a passage through adolescence--an exhilarating adventure, but also one that heralds the end of childhood. Ondaatje discusses his turn from concealment to revelation and reflects on the magic of youth." Tomorrow on NPR's Diane Rehm Show: Peter Andreas, author of Smuggler Nation: How Illicit Trade Made America (Oxford University Press, $29.95, 9780199746880). Tomorrow on CBS's the Talk: Caroline Manzo, author of Let Me Tell You Something: Life as a Real Housewife, Tough-Love Mother, and Street-Smart Businesswoman (It, $24.99, 9780062218872). She will also appear on Access Hollywood Live. Tomorrow night on the Daily Show: Denise Kiernan, author of The Girls of Atomic City: The Untold Story of the Women Who Helped Win World War II (Touchstone, $27, 9781451617528). Tomorrow night on the Colbert Report: Robert H. Lustig, author of Fat Chance: Beating the Odds Against Sugar, Processed Food, Obesity, and Disease (Hudson Street Press, $25.95, 9781594631009). The documentary Philip Roth: Unmasked, a collaboration between Cinétévé and American Masters, will air at 9 p.m. this Friday on PBS. The 90-minute film, which offers a rare, candid look at Roth's life, premiered in theaters last week in honor of the author’s 80th birthday. Included in the documentary are interviews with Roth about his upbringing in Newark, N.J., his inspiration for his work, the many controversies surrounding his career and much more. A range of celebrities, including Mia Farrow and Jonathan Franzen, also make appearances. Argentinian illustrator Isol won the five million Swedish kronor (about US$766,541) Astrid Lindgren Memorial Award, which is given annually to one or more author, illustrator, story teller or promoter of reading, regardless of language or nationality, in recognition of lifelong work or artistry rather than for an individual piece. Founded in 2002 by the Swedish government, the award's purpose is to strengthen and increase interest in children's and young adult literature around the world as well as to strengthen children's rights on a global level. Isol will be honored as this year's winner May 27 at a ceremony in Stockholm. The jury's citation praised Isol, who is an illustrator, cartoonist, graphic artist, writer, singer and composer, for creating picture books "from the eye level of the child. Her pictures vibrate with energy and explosive emotions. With a restrained palette and ever-innovative pictorial solutions, she shifts ingrained perspectives and pushes the boundaries of the picture book medium. Taking children's clear view of the world as her starting point, she addresses their questions with forceful artistic expression and offers open answers. With liberating humor and levity, she also deals with the darker aspects of existence." 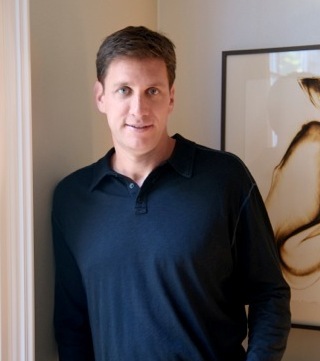 Mike Greenberg has been the co-host of ESPN's Mike and Mike in the Morning for 14 years. His debut novel, All You Could Ask For (Morrow, April 2, 2013), written in three women's voices, is about the power of friendship and hope in the face of adversity. Mike and his wife, Stacy, are forming a foundation called Heidi's Angels in conjunction with the book's release, and will donate all of the author's proceeds to the V Foundation for cancer research. I just finished Back to Blood by Tom Wolfe, so it's still sitting there. I enjoyed it, mostly because no one does a better job of developing characters. I emerge from reading his books feeling as though I have met a collection of new people and, usually, sorry to finish because I am going to miss them. My favorite book was The Lorax by Dr. Seuss. What I cannot remember now was whether I just enjoyed the characters and wonderful writing, or if I really understood the depth of the book's message. More recently, I read that book to my children hundreds of times when they were small, and I marvel at how beautifully constructed it is. There isn't a book better written than that one, not by any author in any genre. John Irving is first. To me, he is the greatest American author of the second half of the 20th century. 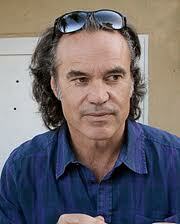 I have been more emotionally affected in my life by his work than I have by any other books, films or music. Second is Nick Hornby. High Fidelity is the ultimate guy's book, it captured the angst of being 20-something better than anything I have read. And A Long Way Down is a stylistic masterpiece, the way he alternated between narrators was the inspiration for how I wrote All You Could Ask For. Third on my list is Jonathan Tropper, who writes in a way that I relate to better than any current author; he is the American Hornby. Fourth I am going to list John Sandford, despite his being what some might call a guilty pleasure. I enjoy reading the Virgil Flowers thrillers as much as anything; I can't wait for the next one. Finally, I would list Jane Green, not only because she is a beautiful writer of fiction, but because she has cooked me more fabulous meals than I can count, and aside from one dessert I never let her forget they have all been delicious. In college I was assigned to read Madame Bovary. I rented the movie instead. This is the first time I have admitted that. If Northwestern comes and takes my diploma away, I am going to be very upset. Golf Is Not a Game of Perfect by Dr. Bob Rotella. I am addicted to golf, and any time I see a golfer struggling, throwing clubs into ponds for example, I recommend this work of genius by the ultimate sports psychologist. It has taken strokes off my handicap, and probably added years to my life. The World According to Garp by John Irving. I read it on a flight from Providence, R.I., to Phoenix, Ariz., in 1993. When we took off, I wanted to be a sportscaster. When we landed, I knew I had to at least try to be a writer. I read Animal Farm by George Orwell in eighth grade, and while I remember the overarching philosophy and plot I really don't have any recollection of the characters. My daughter is about the age where she is going to be assigned to read that book; I think I am going to read it with her. Lemony Snicket (A Series of Unfortunate Events series), having written 13 books about a family of orphans who live in fear, here pens a triumphant picture book in which a boy conquers his fear of the dark. Jon Klassen, working in the same palette as his 2013 Caldecott Medal–winning This Is Not My Hat, makes us believe that the dark is alive, and Snicket gives voice to it. Before readers get to the title page, they see a boy with a flashlight on the far right of a jet-black spread. With a turn of the page, the flashlight reveals, like a spotlight, the title and its creators. "Laszlo was afraid of the dark," the book begins. The boy appears in a triangle of light, seemingly left over from the flashlight's path on the previous page. Already we see the interplay between light and dark in Laszlo's world. The hero looks nervously at the window, where the sun is setting in the rosy rectangle of a window frame; his flashlight is within reach. The boy and the dark are the sole characters in the book. Post-sunset, the light plays off the staircase in rectangular blocks as the darkness increases its dominance. Snicket's sparest statements cause the scariest effects: "Sometimes the dark hid in the closet. Sometimes it sat behind the shower curtain." A hint of the banister and the first steps appear in the blackness behind the dreaded basement door. Each morning, Laszlo stands in the doorway to the basement and says, "Hi, dark." Sunshine illuminates the top three stairs before blackness consumes the rest. "Laszlo thought that if he visited the dark in the dark's room, maybe the dark wouldn't come visit him in his room." But that changes when his nightlight burns out. The dark calls his name. It's the first time the dark speaks, in a voice "as creaky as the roof of the house, and as smooth and cold as the windows." As the dark leads Laszlo through the house, we see only what the boy's flashlight reveals--a toy car on the floor, the shower curtain, and finally, the stairs to the basement. Klassen choreographs the scenes with precision, to haunting effect. Shelf Talker: Lemony Snicket and Caldecott Medalist Jon Klassen team up for a triumphant picture book about a boy who conquers his fear of the dark.